This windshield seal goes first on the body then the glass is placed in the opening. Tucking in the self locking strip secures the glass in place. 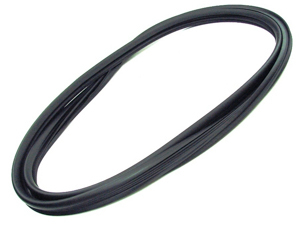 It is a standard black gasket without trim groove. Our product is made from the original specs and from high quality ozone resistant materials to fit your vehicle.